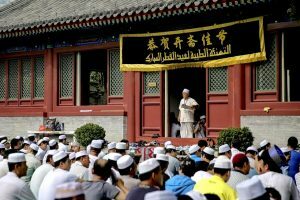 Since the Uyghur people are predominantly Muslim, they mainly observe Islamic festivals and follow the Islamic calendar, which is a lunar calendar that has 12 months and 354 days in each year. Therefore one year in the Islamic calendar is 11 days shorter than in our Gregorian calendar, meaning they have to wait less time between festivals! The two main religious festivals observed by the Uyghur people are known as Eid al-Fitr and Eid al-Adha. 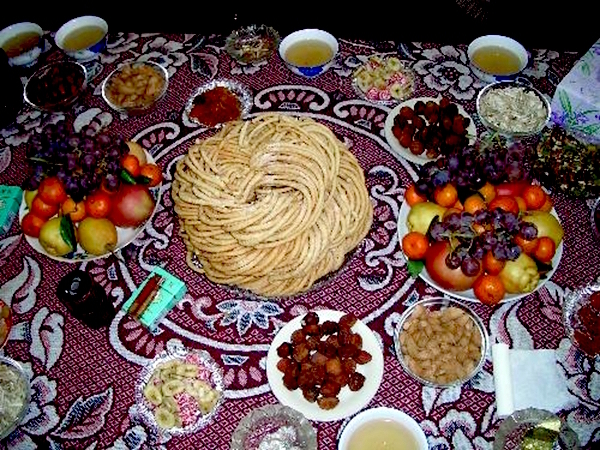 During the ninth month of the Islamic calendar, the Uyghur people observe a religious practice known as Ramadan. Throughout Ramadan, men older than 12 and women older than 9 must fast during daylight hours and can only eat and drink once it is dark (i.e. before sunrise and after sunset). It is practised during the ninth month because, according to the Quran, this is when Allah bestowed his teachings upon the prophet Mohammed, meaning this is the most sacred month in the Islamic calendar. Muslims fast during Ramadan in order to experience starvation and thus empathise with those less fortunate. Once the fasting has ended, they celebrate a festival known as Eid al-Fitr, which takes place on the 1st day of the 10th month. To begin, people get up early in the morning, take a bath, and thoroughly clean their house and surrounding streets. 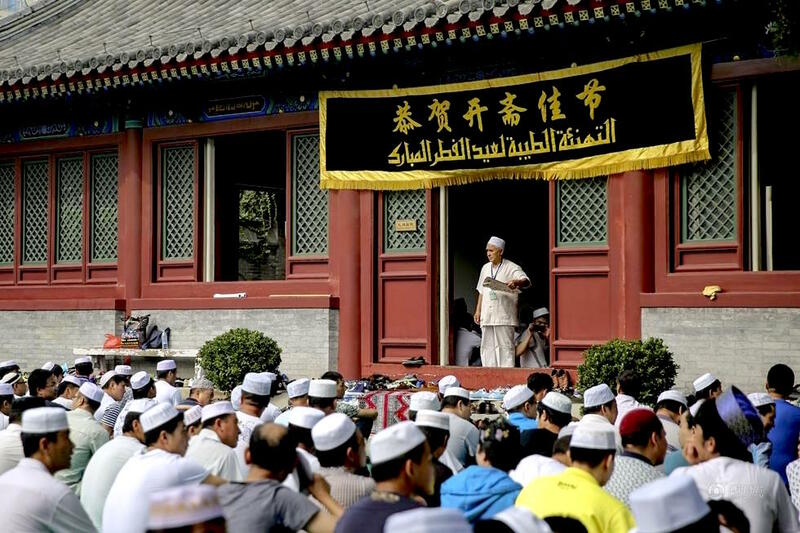 They then light incense and head to the mosque in their formal clothes, where they will attend a religious service and listen respectfully to the imams giving lectures and sermons. Once these are completed, they must go to their family’s cemetery and hold activities in honour of their ancestors. The family will then gather together and cook up a grand feast. After a month of fasting, it’s a small wonder that anyone has the patience to prepare food and not just wolf down the raw ingredients! This food will usually be shared with relatives, friends, and neighbours as a sign of goodwill. The term “Eid al-Adha” means “sacrifice and self-devotion” in Arabic, so it is unsurprisingly also known as the Feast of Sacrifice, and the Festival of Fidelity and Filial Piety. It is a four-day festival that begins on the 10th day of the 12th month according to the Islamic calendar and revolves around the sacrifice of an animal, usually an ox, which people will divide into three portions. The first portion of meat is given to family members, the second is gifted to relatives, friends, and neighbours, and the final portion will be used as alms to help the poor. The older family members boil the meat and inform the children that, after they have finished eating, they must bury the bones underground and cover them with yellow earth instead of giving them to dogs. They traditionally sacrifice animals during this festival in homage to the ancient prophet Ibrahim. According to the Quran, Allah spoke to Ibrahim and ordered him to sacrifice his son Ishmael. Ibrahim sharpened his knife and approached his son, but relented and begged his son to leave. However, Ishmael told his father that, if it was the will of Allah, then he must be sacrificed. Ishmael lay down in acceptance of his death and Ibrahim felt tears stream down his cheeks as he placed the knife on his son’s throat. At that moment, Allah stopped Ibrahim and provided him with a “greater sacrifice” than Ishmael, although it is never explicitly mentioned what this sacrifice was. This festival honours both Ibrahim’s devotion to Allah and Ishmael’s filial piety in obeying his father without hesitation. During the festival, most families will host a gathering and share a feast of beef, mutton, fruit, fried cakes, and other delicious dishes with their relatives, friends, neighbours, and sometimes local imams. This feast will be followed by vibrant performances of folk song and dance, such as the Twelve Muqam or the Sanam Dance.